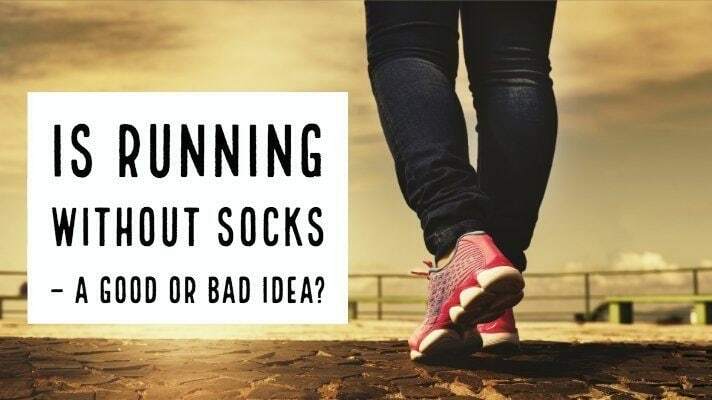 →Running without Socks – A Good or Bad Idea? This is something that frequently comes up at finish lines, gyms, and online forums. Is it comfortable to run without socks? Is it safe? Does it cause problems? In general, is it a good or bad idea? We break down the reasons why someone may want to go running without socks and how it impacts your feet and shoes. There are a couple of reasons a runner might choose to avoid socks. First, some sprinters and track athletes think they will be faster without the fabric weighing them down. Second, some runners believe shoes fit better without the extra material from the sock. Third, many people who complete triathlons choose to avoid socks because it is easier to transition from swimming to running without the extra time it takes to put on socks. There isn’t a lot of scientific research for or against running without socks, so it all depends on a person’s preferences. People who choose to go without socks tend to do so during short runs, when there isn’t a lot of time for moisture to build up in the shoes. This is important since the combination of friction and moisture can cause blisters. According to Healthline, blisters are small pockets of fluid or fluid-filled bubbles that occur on the skin when there is too much friction from materials. You can also check this article for more info about the dangers of blisters. Many people develop blisters on their feet, and the chances of getting them are increased when someone chooses to run without socks since there is no protective coating for the feet. Going for short runs without socks can help people prevent blisters and is also an important step for runner’s who want to train their feet to stand the motion without the protection of fabric. This process involves toughening the skin to form calluses that won’t bleed or blister in shoes. The only way to train the feet is to keep running without socks, so people should go for plenty of short runs without socks to slowly make their feet more durable and used to plain shoes. Long runs can be extremely painful without socks and aren’t recommended for people who haven’t trained their feet to withstand friction. People who possess shoes that don’t move at all when socks aren’t worn should try going for a short run (between 2-5 miles) before deciding to do anything longer. Once a runner’s feet have been prepared, there should be no problems with going for longer runs. Most runners simply report having foul smelling shoes at the finish line. Livestrong adequately explains the need to break in new running shoes, since the footwear often comes from the store stiff and inflexible. Even shoes that belong to the same make and model as a previous pair will not fit the same. Each pair of footwear has its own unique fit, so it’s important to test the shoes out before committing to long runs. This means that normally a runner should wear the shoes for basic trips to the grocery store, on walks, and other situations where there will be little stress for the feet but the runner grasps the uniqueness of the shoes. They should also not go for runs longer than six miles so the feet can get a break from the stiff, new fabric of the footwear. For someone who chooses to go without socks, this process is even more important since there will be no extra cushioning to prevent blisters. Honestly, since the process of breaking in shoes can be painful, stressful, and take a few weeks, it’s recommended that runners not try to do this without the comfort of socks. Those who choose to do so can expect some extra pain and blisters for their trouble. People who do choose to run without socks should follow a couple of steps to avoid causing tough blisters, peeling, bleeding, and other injuries. Use Talcum Powder: Foot powders help absorb moisture and sweat which builds up in shoes while running. The powder also prevents chafing, which can cause blisters and uncomfortable chafing. As an added bonus, most powders also absorb smells and can ensure sneakers remain fresh after runs. Here is my favorite Talcum Powder to use. Duct Tape: This is an unusual measure but can help prevent blisters. Individuals can wrap duct tape around their toes and the balls of their feet to stop chafing. Users of the tape just need to make sure they don’t cover the middle of their foot, since that can prevent movement. Petroleum Jelly: Using petroleum jelly on contact points, or the areas of the foot which touch the shoe again can prevent blisters and also ensure there is no chafing. Here is a rather inexpensive pack. START SLOW: Do NOT try to run a marathon or long race without practicing and toughening the feet with a few short runs first. Most people looking to start running without socks should go on a few short runs (no more than a couple of miles) to help the feet adapt and skin toughen. This can also keep the blisters to a minimum. Wash Shoes More Often: The increased contact of the feet inside the shoe, as well as all of the sweat and bacteria, can result in mold growth. To prevent this, runners should keep their shoes as clean as possible since the sock isn’t there to collect moisture and skin particles. 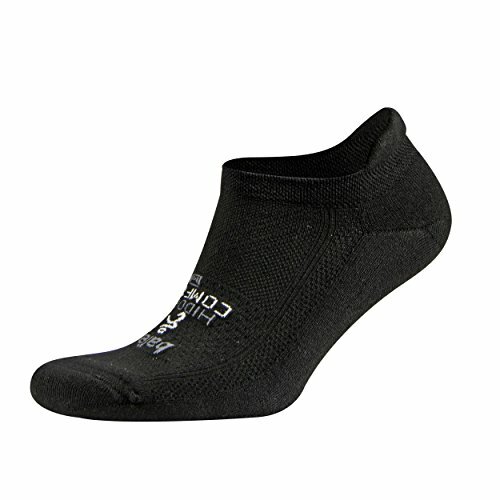 So, with all of this information about what running without socks can do to the feet, what are the actual pros and cons? Again, since there isn’t a lot of research, results will vary and are based on the personal experience of runners. Running shoes need to be replaced more often because the cushioning and pads absorb all of the sweat from a person’s feet. If you do choose to run with socks, I recommend checking out this article when it comes to blister preventing socks. I also like Balega as a sock that prevents blisters. Ultimately, the decision to run without socks is going to be a personal one that depends on a person’s level of comfort and style of running. Sprinters and individuals who want their feet to be as light as possible are more likely to skip using socks, while distance runners might continue to prefer the extra cushioning to stave off blisters and bleeding. For people who would like to try to run without socks, remember: Start slow and pay attention to how a shoe fits without the extra padding. Blisters and bleeding will happen regardless, but they will be worse with too much running or a shoe which slides or digs into the skin. Good luck, and remember to wash all running shoes as often as possible to avoid mold.